What do you do when you lose your car keys? Do you panic and begin your search for an automotive locksmith from scratch? Do you reach out to a dependable and affordable ford car key replacement service provider? Your reaction is an indication of how well you prepare for the worst case scenario. If you have a spare key, you are more likely to be calmer. Also, if you have a local automotive locksmith on the phone, then you have the guarantee that your new car key will work as good as if it were new. If you choose to have your Ford car key replacement service from your car dealer, there is the fact that they are not mobile. Therefore, you have to go to them. On the other hand, Mobile Locksmith Squad comes in handy as we have mobile units patrolling the state. As a result, once you call us, We arrive at your location in less than 30 minutes and resolve your issue as soon as possible. Should you decide to have a Ford car key replacement service by the manufacturer, how long are you willing to wait? How far can you go without your car, which is essentially part of your daily life? If you operate on a busy schedule and need the key replacement ASAP, then, you should contact Mobile Locksmith Squad. You do not have to present documents such as your VS and ID to prove that you own the car. We take care of your needs and get you back on the road in no time. Whether you look at it in the form of money, time or even energy, we are your most economical and fastest ford car key replacement service providers in the state. With us, you do not have to wait for three weeks to get your car key replacement. Also, since we have readily available blank keys, it very easy for us to program them to fit your model of the Ford cars. Additionally, since we operate on mobile units, there is no need for you to tow your vehicle to our workshops. Hence, you get to save up a lot of money that you would have otherwise spent on hiring a tow truck. 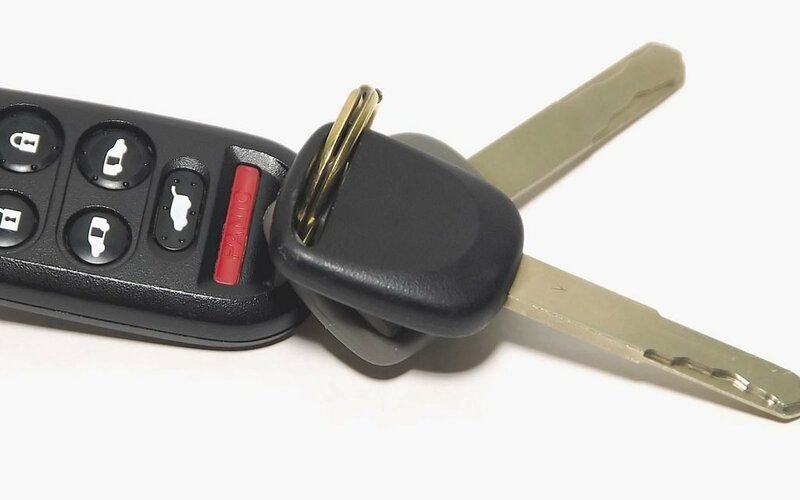 A key fob is a vital part of the remote keys. It allows communication between you and your car. Therefore, it is crucial that it is always in working condition. However, this is not still the case. If broken, damaged or even worn out, we can replace it for you. We have new key fobs for all types of Fords. Be it a truck, a van or your Ford car. All we have to do is write the program on the key, and it will be yours in less than 15 minutes. Do you need a spare key for your car? If that is the case, then our state of the art key cutting machines will appeal to you. You have the guarantee that we cut the key with precision. Therefore, you do not have to worry about your keys being incompatible with your locks. The old school ford car keys had a metallic part on them. With continued use, the metal weakens and tends to bend easily. Due to this reason, it becomes hard to open the locks. Hence, you have to apply more force to open the door. In case you twist too hard or too far, the key might snap and break in the lock. That is where we come in. We will extract the broken key and using the bolts measurement generate a new key for you. Call Mobile Locksmith Squad today and get the best Ford car key replacement service you can get all across the state.